Leveraging on the skills of our professionals, we are involved in offering best quality of Plastic Tea Cup Making Machine. 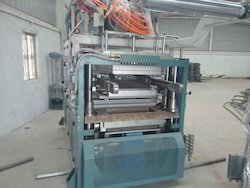 The offered Plastic Tea Cup Making Machine is extensively used for forming mugs of various sizes. 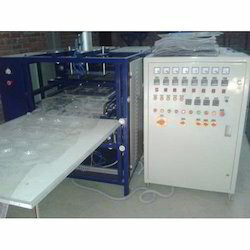 The offered Plastic Tea Cup Making Machine is available in the market in bulk in various sizes and specifications. With an aim to lead our business in allied domain, we have been affianced in providing a quality assured range of Plastic Cup Making Machine. Our offered glass is precisely manufactured by utilizing supreme quality plastic and sophisticated methods with the implication of highly advanced techniques. Tested on certain quality aspects, this glass is highly acknowledged by our clients. As per the varying demands of our patrons, we offer this in various size and capacities at cost-effective prices. We are recognized as the industry leaders by developing high grade Plastic Plate Making Machine. We are leveraging the years of R&D expertise to present the highly efficient and most versatile range of plate making machines. The offered model is becoming most favorable for its sturdy construction and industry approved components. Featuring high output speed and energy efficient performance the offered machine is fitted with powerful motor and requires less maintenance. Further, we are providing the quality tested machine at a leading price. 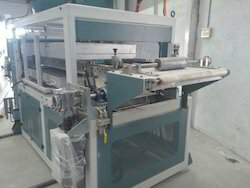 Looking for Plastic Cup Making Machine ?